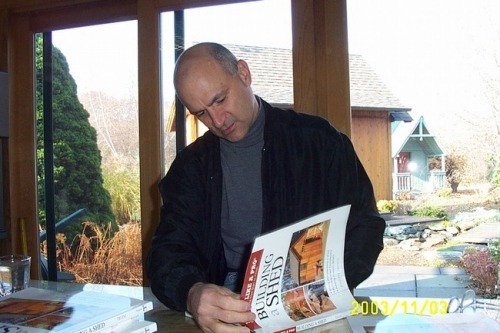 All the expert advice you need to build a shed from start to finish, from evaluating storage needs to basic construction to putting the finishing touches on the roof. Features five new sheds. 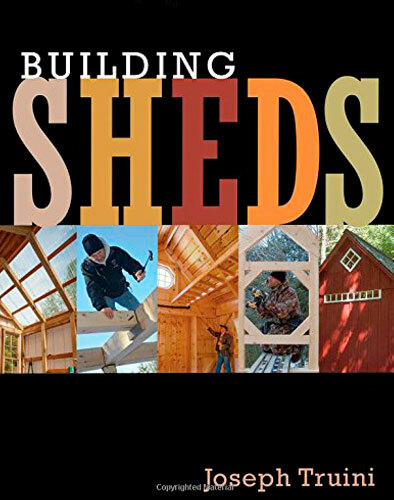 This well-illustrated guide offers a range of building options, with complete instructions and plans for five different styles of shed, including a post-and-beam shed, a traditionally framed shed and a small garden storage shed. 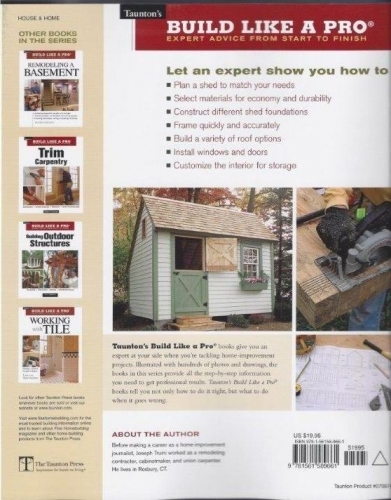 From designing a shed to match your storage needs to selecting framing materials for economy and durability, constructing shed foundations, installing windows and doors, and building stairways and ramps, this is a complete, no-nonsense guide to building a shed.